If vampires are not your thing, today sees the release of another game, something radically different published by Codemasters. 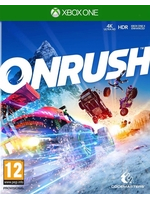 As you may know, Onrush is the new creation of ex-developers from Evolution Studios but it's not your typical racing game. First, it is clearly designed for multiplayer, second it has quite unique gameplay mechanics. We know that people have mixed feelings about the game, but from what we've seen so far, it is pretty fun to play. A promising title that probably aims at reproducing the success of games like Rocket League, so it'll be interesting to see what people think of it now it's available. 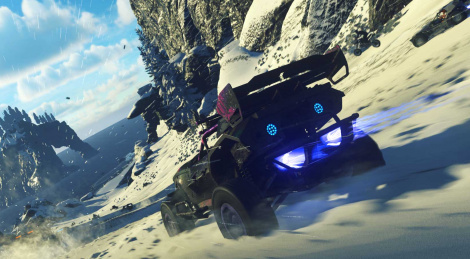 Was it the Developer who said it's something like Motorstorm meets SSX? the beta of this put me right off. there's no depth to it. things are too chaotic to really work with team play or to read the track and your opponents with any degree of accuracy and games like this need small moments for the big moments to feel big and onrush doesn't have that. it's so relentlessly bombastic it ends up feeling weirdly normal. I felt like I was on rails when I was playing the beta. It's almost the complete opposite of motorstorm in that game you felt the sway and inertia of each vehicle here it's like playing wipeout with pilot assist. Considering the development team I’m surprised the game doesn’t look much better. I can’t put my finger on it but the game just looks washed out. For all the colors going on it still looks very bland. Almost too pastel instead of rich oil colors.